One of our favorite places in our house is our library. This is likely because it is the most "finished" area of our house. And it may only be about 30 square feet all together, but somehow feels bigger once you are in it. Making up the second half of our living area, with a couch as the dividing line, the library was a work in progress for most of 2012. 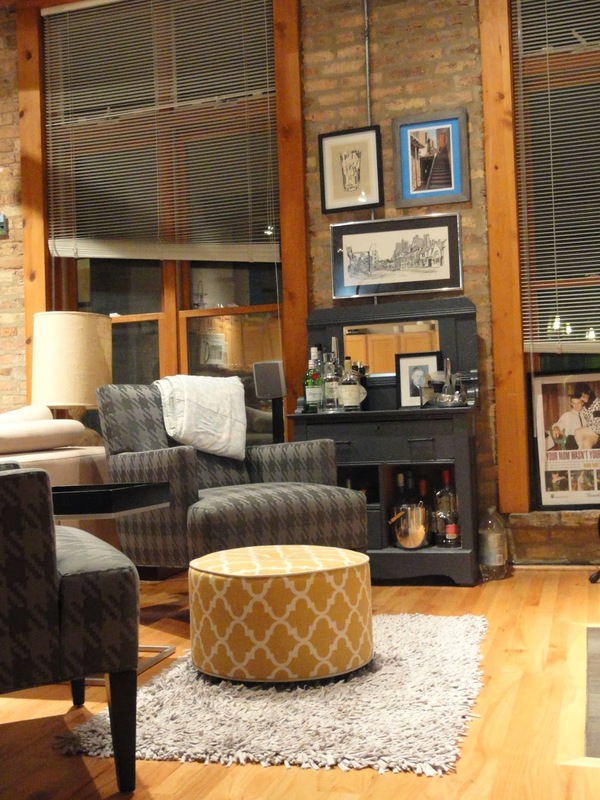 For more info on the armchairs, the rug, the bar and the bookshelves, I dissected it for this post awhile back. The ottoman was our last purchase for the area a few months back, which made it even more the prime location for kicking back and reading. I recently powered through Gone Girl in just a few short days in those chairs. 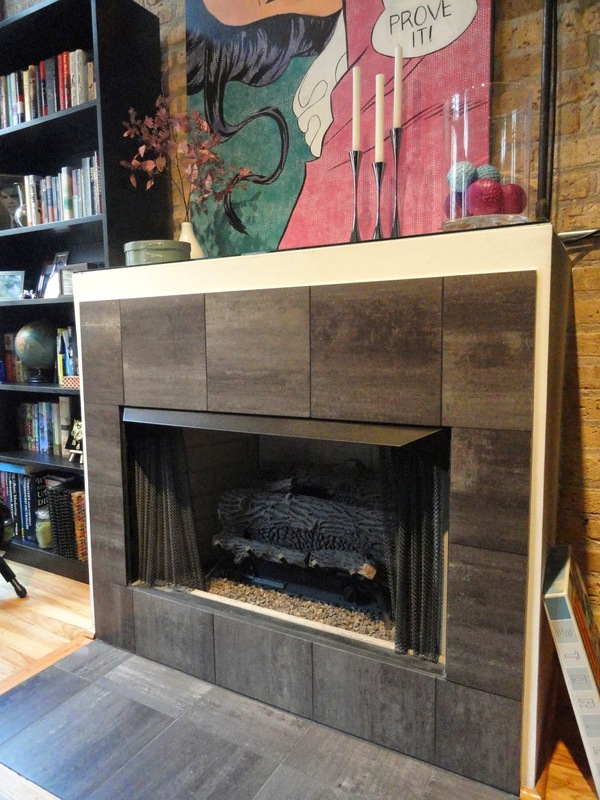 But there has always been one area left to do something about: the drywall white fireplace! 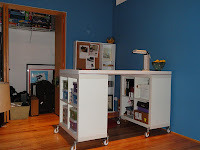 Before we even moved in, we had a general color scheme idea for the library of ice blue, gray and cranberry/plum. 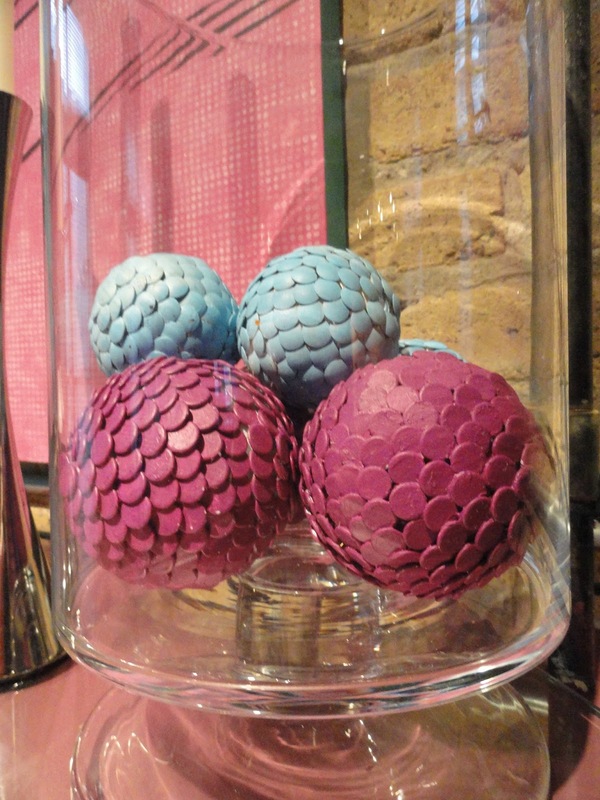 My long ago Pinterest Project of Thumbtack balls started us off on the right foot, our Prove It! 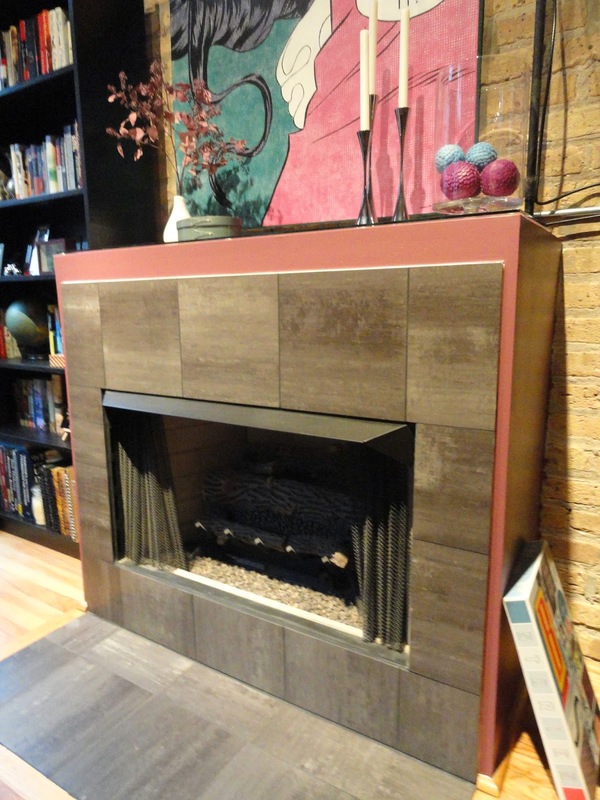 painting gave us some more shades of purple and the DIY shag rug along with our armchairs added the gray. Looking at a few paint swatches, our thoughts of cranberry started to turn into thoughts of something a little more purple. 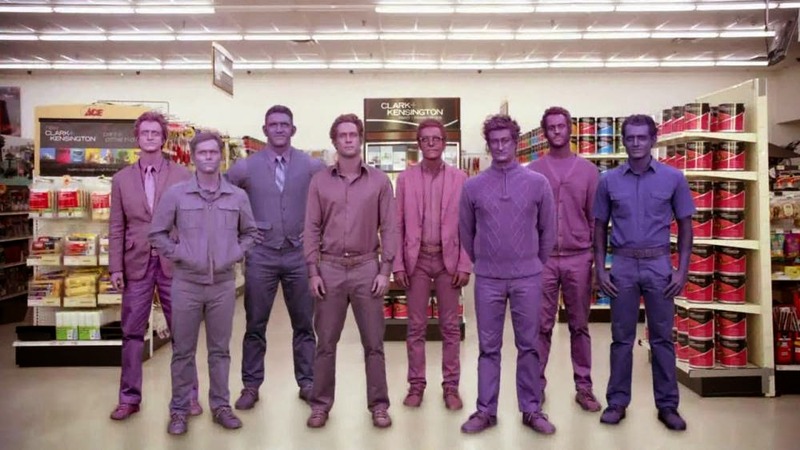 You know, like that ACE Hardware commercial, "Puuurple." This Memorial Day Monday we walked into Lowe's made a bee line to the paint section. Spent 30 seconds looking at the Valspar wall and both pointed to the same swatch: Vintage Grape. It wasn't even a contest, it wasn't even worth buying the sample jar for $2.50 or even bringing home the piece of card and holding it up against the fireplace. We picked up a pint of Vintage Grape in a satin finish and got to work when we arrived home. This also gave us an excuse to royally clean the glass top to the fireplace, which was a long time coming. Eager to start, we neglected to remember that our paint trays had been donated to a volunteer painting project Bob worked on. So we DIY'd that too. A shallow Amazon box, taped all up to ensure no holes to leak through, a sheet of tin foil (a good trick even when you have regular trays to keep them usable!) and a couple rolled up cardboard pieces taped to the inside to create some tilt in the homemade tray. Easy peasy. Bob applied one coat and we already were feeling it. Two hours later, coat number 2 went on. 24 hours later, the bookshelves were back in place, the tape removed and the glass top reinstated. 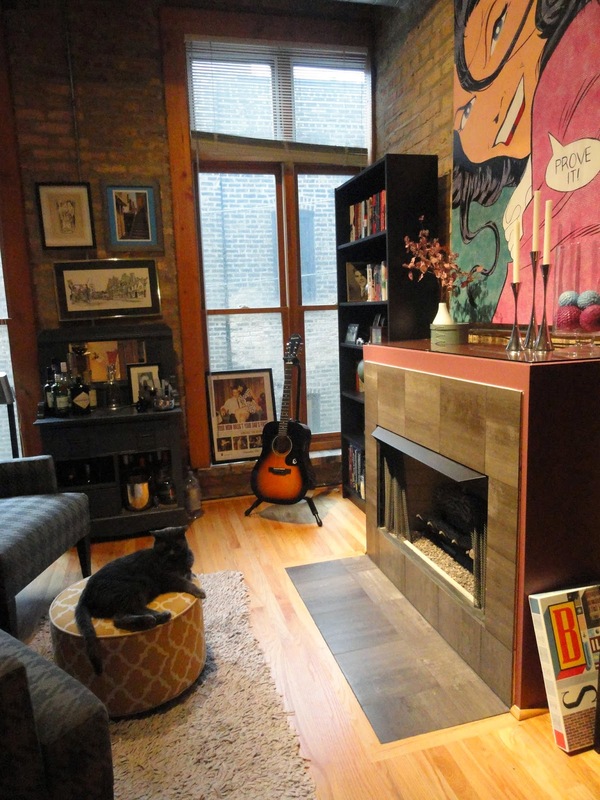 Here's a wider shot of the room, complete with a common tableau for our household: "Cat Resting on Ottoman." It might not be on the grand scale of painting an entire wall, but the statement is definitely made. Watch out, drywall in the perpetually white kitchen. . .you're next.